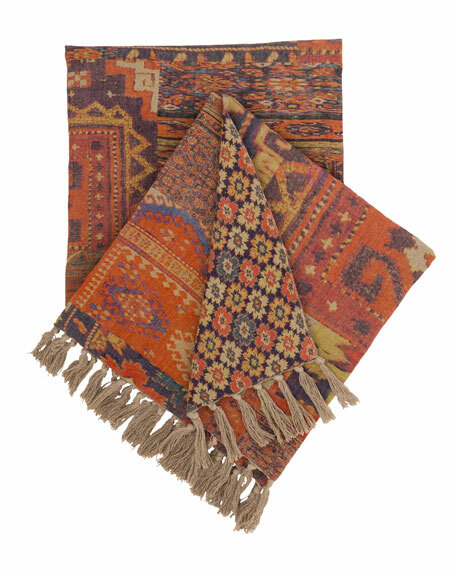 Kilim-inspired patchwork print in shades of terra cotta, java, brick, and blue. 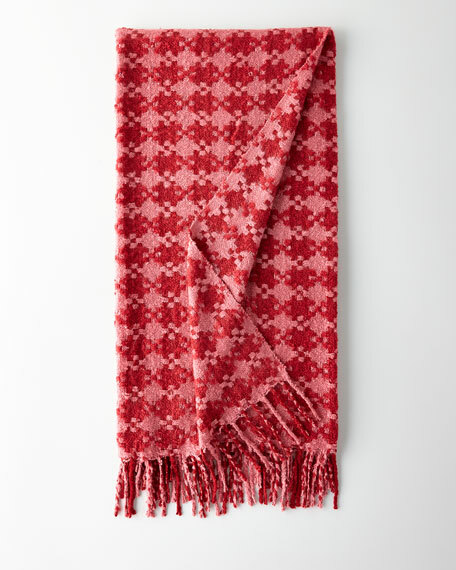 Finished with fringe at two ends. 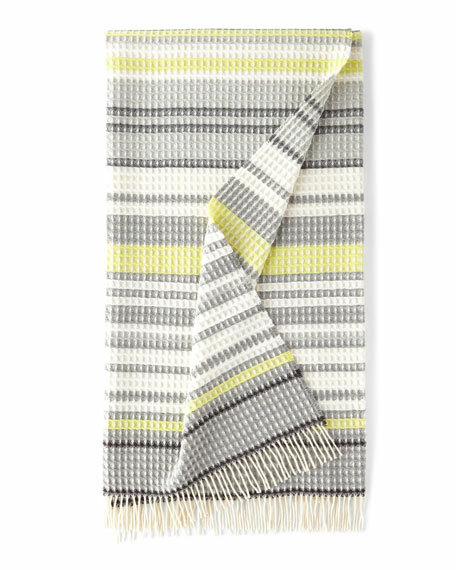 A linear throw with bold stripes of grey, white and black, brought to life with pops of alchemilla. 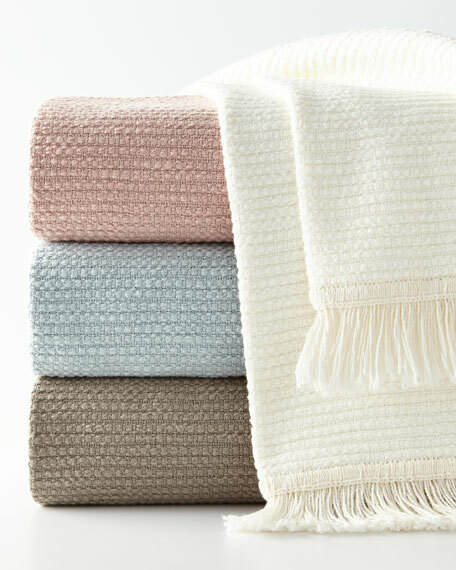 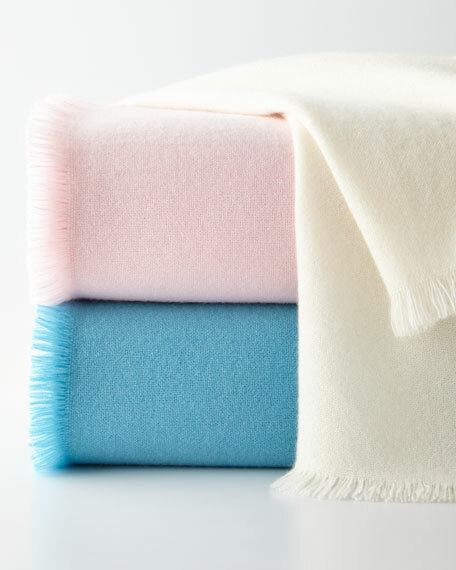 This textural waffle throw is woven in a luxurious lambs wool-blend and is finished with a white fringed edge.